As a dietary supplement, take 1 softgel 3 times daily, preferably with a meal or use as directed by a physician or licensed nutritionist. DO NOT EXCEED THE RECOMMENDED SERVING SUGGESTION. Not for use by individuals under the age of 18. Do not use if you are pregnant, contemplating pregnancy or nursing. Consult your physician prior to using this product if you are taking any prescription or over-the-counter medications or if you have heart disease, thyroid disease, diabetes, high blood pressure or any other medical condition. DO NOT USE IF SAFETY SEAL IS BROKEN OR MISSING. KEEP OUT OF REACH OF CHILDREN. 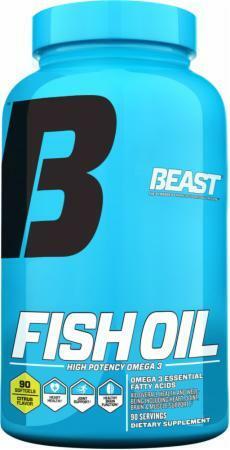 How Will Beast Sports Fish Oil Help Me Achieve My Goals? Will I Get the Fishy Aftertaste with Beast Sports Fish Oil? Is It True that Fish Oil Can Enhance Fat Loss?